To launch this solar and alternate energy solutions company, Brilliant Branding was asked to develop a visual identity and marketing collateral which was fresh, simple and Australian. Unlike similar firms, Free Energy Australia offers clients a range of energy and cost saving products which utilise available ‘free’ energy… Not just solar. 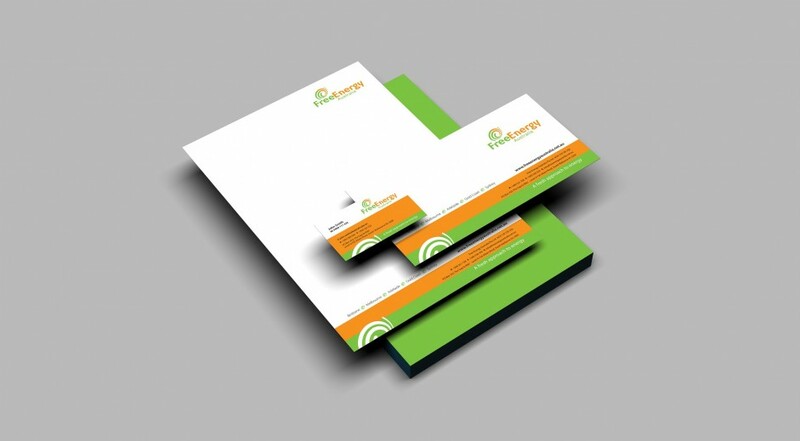 The brief was to deliver a flexible identity to be adaptable for current and future products and services. With the emphasis on ‘free energy’, a semi abstract symbol combined with vibrant colours completes the logo. 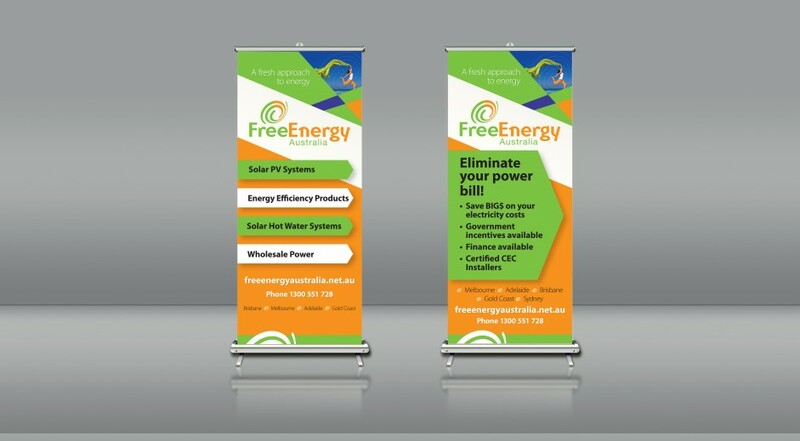 The colours reflect the environmentally friendly focus of the business teamed with dynamic energy. 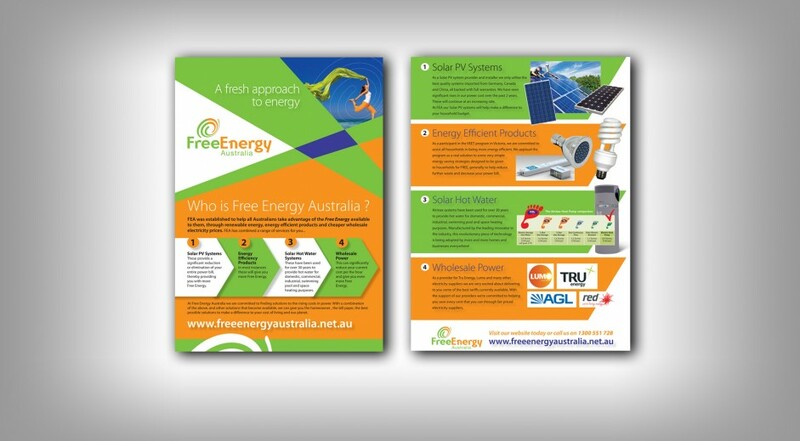 The resulting package provided Free Energy Australia with a solid platform to launch their particular approach to alternate energy supply.